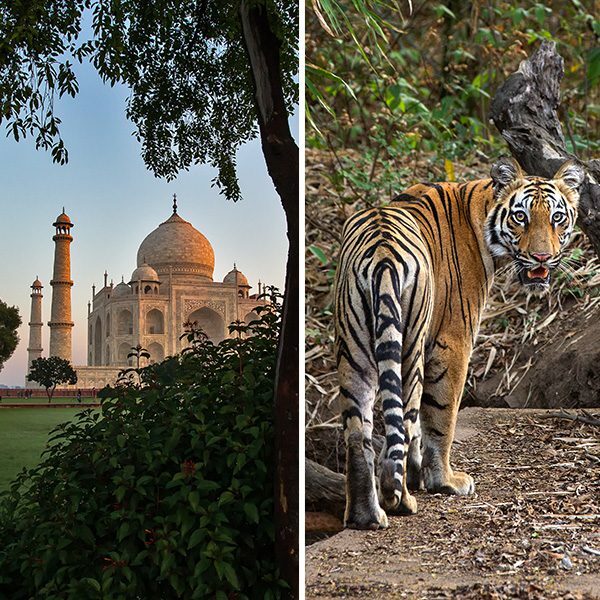 Focusing primarily on exploring Wildlife of India, this trip offers you an experience of the rich culture and heritage of the country. A peek to the highly endangered Great Indian Bustards to many more wildlife species available in the National Park in Jaisalmer; visit from one Heritage Site in Jodhpur to completing your journey with the Seven Wonders of the World – ‘Taj Mahal’ in Agra. We have planned this trip for you, keeping the right balance of famous destinations and some less explored hidden gems of the country; leaving a lasting impression on you! Grade: Medium. This is a wildlife and cultural trip based on bird watching in open top jeeps and camel cart. Walking and climbing steps will be required during sightseeing of forts and other archaeological monuments. Welcome! Our representative will receive you at Indira Gandhi International Airport in Delhi; who will bring you to your hotel. Located in the northern part of India, known as the third largest city with a population of 10 million plus. It covers an area of 1483 sq. km and bustles metropolis. The main languages spoken are Hindi, Urdu and Punjabi, although English is also widely understood. Delhi is also a major travel gateway and is one of the busiest entrance points for overseas airlines, being a major link to all other northern and southern cities. After check-in at your hotel, you can opt to relax or use facilities at hotel like Ayurvedic Massage, steam, swimming pool (depending on the in-house facilities). Local city sightseeing can also be arranged depending upon your time of arrival. Overnight at hotel in Delhi. Day 2: Departure for Jodhpur by flight. Check-in at Manvar. After early breakfast, depart for Jodhpur by flight. Arrive in Jodhpur, have lunch and leave for Manvar Tented Camp. Located 110kms away from the Jodhpur Airport, Manvar is beautifully surrounded by sand dunes. In the middle of the wilderness is situated Manvar Tented Camp. The concept behind the desert camp is to relive the era of 17th century royal style camps. It is being said, that when Mughal Emperor Jahangir, used to go to the battlefields, he was known to set up royal camps equipped with luxurious amenities. Later rulers in Rajasthan followed this tradition for their hunting trips, royal gatherings and recreational activities. The Manvar Tented Camp consist of 30 gorgeously decorated safari style tents arranged in a semi – circle with a central ‘Darbaar’ hall. Each tent in the camp offers view of the desert wilderness. Delicious Indian meals are provided in the dining tent – the central Durbar, which offers breathtaking views of the sunrise, sunset and the surrounding area. 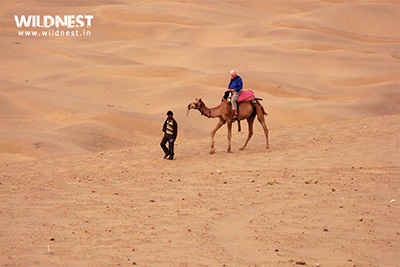 Relax yourself, after check in; a camel ride through the sand dunes of Rajasthan’s Great Thar Desertawaits you in the late afternoon. One can see the Desert fox, Indian gazelle (chinkara), Blue bull (nilgai) and other desert wildlife. Day 3: Morning Jeep Safari; then drive to Jaisalmer via Wood Fossils National Park. Get up early in the morning, if you wish to witness the beauty of sunrise over the desert. To experience the real adventure of Manvar, short excursions by jeep will give you ‘being off the beaten track’ feel, among the desert people of Rajasthan. It is this place, where way of life has little changed over the centuries and gives you a sudden awe. Post breakfast, you will be driven to the golden city of Jaisalmer. You will also visit Wood Fossils National Park on the way. Taking you beyond the history or say, prehistoric era of the Jurassic! The look of the area,which got submersed into the sea and the tree trunks got preserved in the form of fossils brings you close to an act of nature. Well, that’s Wood Fossils National Park! Once you arrive inJaisalmer; check-in to the hotel followed by a leisured evening. Situated in the heart of Thar Desert; Jaisalmer is a world heritage site. The old city stands on a low range of hill, and holds a lot of Jain temples. The city is filled with many architectural beauty and structures, which has local historical importance. Quite astonishing, but it is really a tourist destination. Day 4: Half day sightseeing in Jaisalmer and Desert National Park in the evening. Post breakfast, you will head for sightseeing tour of Jaisalmer; visiting Jain Temples, Gadisar tank, Fort, Patewonki Haveli, Nathmalji-ki Haveli and Salim Singh’s Haveli. The temple is located in the Jaisalmar Fort, and indeed is a must visit place. These are really old temples and completely filled with history and its rich knowledge. These temples are from the time of the 12th century and features Dilwara style of architecture. The temple is open from morning till noon, therefore, visiting this place first will be a great idea. Known to have one of the largest defensive walls in the world or say fortification, this fort is situated in Jaisalmer. It is a World Heritage Site, dates back to medieval times. Made of sand dunes, it is also known as “Sonar Quila’’. It is the second oldest fort in Rajasthan, still has half of its population residing inside the fort. A complete delight to eyes with lots of fascinating, this place is a fusion of Rajput and Islamic style of architecture. Haveli means private mansions, here it refers to the mansion of the Wazirs and Landlords. With lots of open spaces and rooms, the havelis are again another lace which has a fusion of Rajputana and Islamic architecture. The most famous havelis in Jaisalmer are Patwonki Havelis, Salim Singh ki Havelis and of courseNathmalki Havelis. One should definitely visit each of the havelis to really get mesmerized about the size, shape and style of the most photographed havelis of Rajasthan. If you are in Jaisalmer, you should definitely spoil yourself with local markets and shopping. Not only Jaisalmer is famous for its handicrafts, but also with antique and old stone works. At 0300 hrs. Post lunch, you will be taken for Camel Cart Safari at Desert NationalPark. Here you may see, endangered Great Indian Bustard – only few hundred left in the world, and Desert National Park is one of the best place to see them. 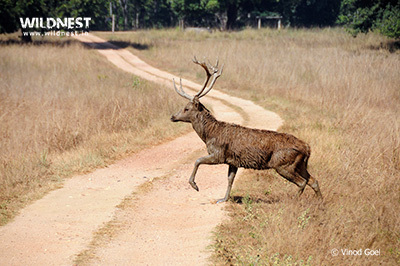 One can also see Chinkara, Desert fox, Desert monitor lizard and other fauna. Located 45 kms from the Jaisalmer city, is the only place where the state bird, animal, plant and flower of Rajasthan – the Great Indian Bustard, chinkara, khejra and rohira respectively – naturally exist. 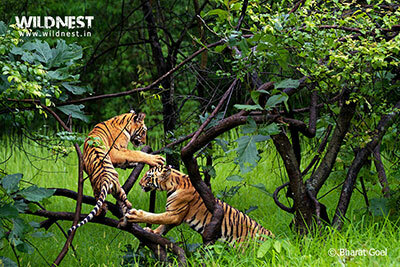 The park is mostly known for Great Indian Bustardwho steals the show due to its endangered status. The tall, graceful bird is found aplenty in this park; it is one of the last spots to have a considerable number of the bustards. Due to the bird’s seasonal migration to local areas, sometimes it can be taxing to spot it. Day 5: Drive to ChandelaoGarh. After breakfast, you will visit ChandelaoGarh for a very personal stay with our host Thakur Pradyuman Singh in his family’s 18th century fort, situated in the middle of a village. Belonging to the Thakur of Chandelao, this property is almost 300 years old. Rich in rural life in the region, this place has seen many wars and histories. We highly recommend you to stay in Chandelao for an enriching experience. Not only the local community gets delighted in engagement with the tourist; but also it helps them by getting support from the ruraldevelopment projects.Along with a local NGO, they help to create job opportunities and improve people’s livelihood, play an active role in supporting girls’ education, revitalizing and promoting local Rajasthani arts and crafts. Chandelao also contribute their share to the improvements in water collection systems in the Chandelao School and surrounding villages. Day 6 and 7: Explore ChandelaoGarh. Chandelao offers many activities related to wildlife, culture and art. You will be engaging yourself in below mentioned activities for the next 2 days. Please note: Order of the activities will be decided as per the sightings of the season. In the morning you can head for birdwatching accompanied with a guide. It is a paradise for birdwatchers in Chandelao. While commuting through an open jeep, you may get a glimpse of Chinkara (an Indian Gazelle usually found in Western India). Blackbuck and Blue bull are also easily found here; and sometime Indian wolf. The village features 3 extremely beautiful lakes where you will find Demoiselle cranes, Sarus and other water birds. One will also get to see Parakeets, Bulbuls, Bee-eaters, Peafowl and other residents. To find unique local crafts and ethinic goods, visiting Bazaars of Pipar is the best idea. It is just 20 kms. away from Chandelao. Jeep safari will take you to the deep Rajasthani places through the fields where you can sight local farmer life in the crop fields. To experience the rural lifestyle, you will be taken to various traditional craftspeople, who specialize in making woven rugs of camel hair, and water pots of local clay. You can even try your hand at a pot on a traditional hand-driven potter’s wheel! You will also visit a traditional Bishnoi homestead for a first-hand glimpse of their traditions and customs. You have an overnight stay at Chandelao in ChandelaoGarh. Day 8: Sightseeing in Jodhpur; then depart for Agra by an overnight journey by train. You check out from Chandelao, after breakfast and reach Jodhpur. Once freshened up, our local guide will take you for sightseeing. The second largest city in the Rajasthan, Jodhpur is the metropolitan city. Most sorted tourist destinations, this place feature palaces, forts and temples. Due to sunny weather quite round the year, Jodhpur is commonly known as the ‘Sun City’. It has the Mehrangarh Fort, Umaid Bhawan Palace and JaswantThada as its biggest USP’s. The fort was built by Rao Jodha, in 1460, this fort is the largest fort in India. Quite unique on its own, the fort has living proof of skill work of Jodhpuri Sculptors. Situated above 400 fton the city level, the fort has never been under siege. It has various buildings inside it such as a well preserved museum, Sheesh Mehal, PhoolMehal, Moti Mahal and Elephant howdas among others. We really recommend you to visit the fort, because of its architectural beauty and the incredible description of style. – The Taj Palace Hotel. – Residence of the owner’s royal family. – A museum and also has a gallery of exotic automobiles. Made of white marble, the scenic beauty was built by Maharaja Sardar Singh of Jodhpur in his father’s memory Maharaja Jaswant Singh II. It is known to be the true brilliance of architectural beauty in history. It consists of carved Gazebos (small building), a small lake and also a cremation ground of the Jodhpur rulers. As per your choice of cuisine, our guide will take you for a lunch. Post lunch you can engage in some Jodhpuri shopping. Did you know, Jodhpur has so many delicacies under its wings? Mawa Ki Kachori,MakhaniyaLassi, Hot & Spicy MirchiBada (its chili cutlet made with potato filling), Lasan Ki Chutney (its hot fiery garlic chutney), Gatte Ki Sabzi(it is made of gram flour balls, curd and spices), MirchiKaKutaa (its hot recipe of crushed green chilies), Raab(made of pearl millet flour and yoghurt curry) just to name a few. Shopping in Jodhpur is a complete delight, for it is a home place for many talented craftsmen. Jodhpur is known for shopping in regards of antiques, Bandhini works, footwear and spies and also red chilies. You have an overnight train to Agra from Jodhpur. Day 9: Breakfast; visit to the Taj Mahal and Agra Fort; return to Delhi. Once you reach Agra, you check in at the hotel, freshen up, and have breakfast. Then you visit THE TAJ. Do you know, Agra, was originally the capital of India, during the Mughal period from the 16th and 17th centuries? The city consists of many monuments which depicts the high point of Mughal architecture. Babar, the founder of the dynasty, laid out the first formal Persian garden on the banks of the Yamuna River. Akbar, his grandson raised the towering ramparts of the great Red Fort. Within its walls, Jahangir built rose-red palaces, courts and gardens, whereas his son Shah Jahan embellished it with marble mosques, palaces and pavilions of gem-inlaid white marble. Agra is home to the timeless beauty – ‘Taj Mahal’. One of the greatest monument, defining true love, it was completed in 1652 by the skilled craftsmen from Persia, Turkey, France and Italy and approximately 20,000 laborers worked for 17 years to build this edifice. Emperor Shah Jahan built this beauty, as a mausoleum for his beloved queen Mumtaz Mahal. The Taj stands serene on a raised marble platform, by the banks of the Yamuna River. After breakfast, you can visit another gem in the city – Agra Fort. You also have the option to shop some of the finest handicrafts made in India in the local bazaar (market). Agra is famous for its leather. Many of the industries dealing in leather goods are situated here and are a reason for the menace on the Yamuna. If you are looking for some really good leather works to purchase, but in cheap price, you can find it here. You can look out for them at places, where little imperfection quality leather is rejected. Most of the time, you would not be able to spot the difference of the rejected ones. You may also look for other shops in the city for quality works. Among tourists, Sadar Bazaar is the most popular market. You will find almost everything here, from leather shops to sweet shops, handicrafts and also small souvenir stores etc. Agra is also famous for its marble inlay work. Artisans of Agra specialize in working on marbles and many such shops are seen around the city for obvious reasons. Our driver/guide will choose a place for lunch as per your preferred cuisine. After lunch, driver will bring you back to IGI Airport in Delhi (3.5 hrs. drive). – The Taj Mahal remains closed for tourists on every Friday. Therefore, choose dates in such a way that day 2 of this itinerary shouldn’t be a Friday. – Customization of mode of transport can be done as per requests; however, request in advance can only be entertained to make it as feasible as possible for your travel plans. Train transfer by AC two tier on Day 8-9 from Jodhpur to Agra. Jeep safari (26 kms long) covering wildlife and rural on day 2 at Manvar Resort. Early morning visit to Taj Mahal with exclusive guide on day 9 with entrance tickets. Visit to Agra Fort with exclusive guide on day 9 with entrance tickets.